What Did Our Audience Think of Proms & Prosecco in the Park? 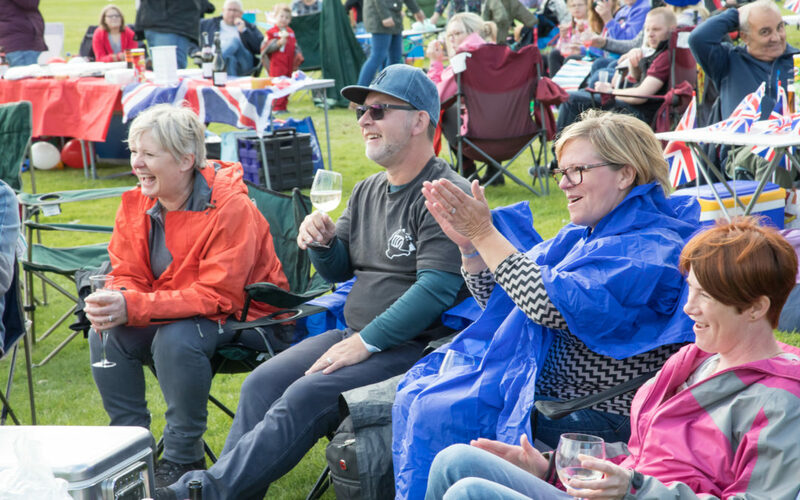 As we finalise our plans for this years Proms and Prosecco in the Park its a good time to reflect on what our audience thought of the event last year. “It was brilliant, lots of young children with families of all ages sharing the experience. In a spectacular setting surrounded by ancient woodlands and lake. A swathe of red white and blue flags, folding tables and chairs, food, candelabras, lanterns and fairy lights, some people wearing bow ties and suits or flowing dresses; most like us in wellies and ponchos. An arena of happy smiling faces, the finale a joyous crescendo. Well done Fizz! The event is once again timed to coincide with the Last Night of the Proms on Saturday 8th September from 2pm to 9pm. We have some fabulous acts lined up, including national performers, and we’ll be announcing the complete line up in just a few weeks’ time. We are also continuing our tradition of inviting local performers to take part, providing a platform for some of the outstanding talent we have locally to perform on a big stage, in front of a big, friendly crowd!